Most "doctored up" boxed mix chocolate cake recipes just don't deliver the rich and decadent results that the made-from-scratch cakes do. This triple chocolate cake is so delicious you won't feel the least bit guilty for using such an easy recipe. Fancy serving options turn this cake from a box into restaurant-special. In a mixing bowl, use a whisk to stir together the chocolate cake mix, pudding mix, sour cream, oil, eggs, and water. 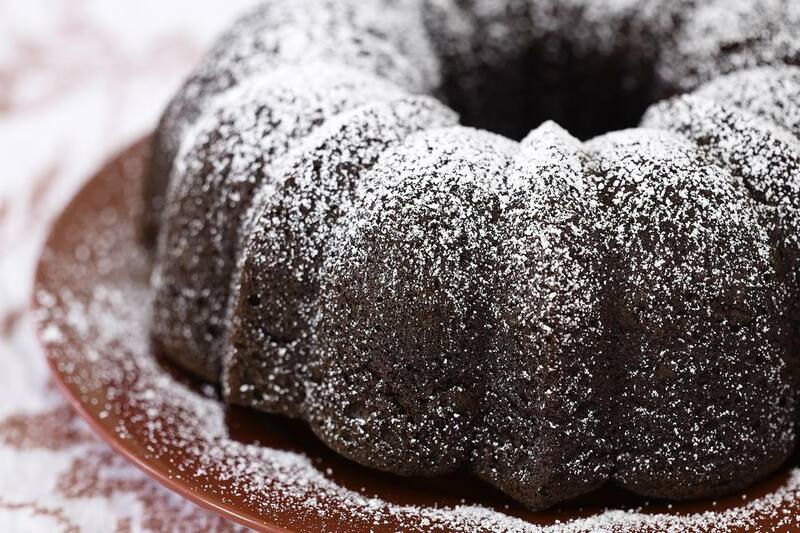 Mix in chocolate chips and pour the batter into a greased 12-cup bundt pan. Bake for 50 minutes or until a toothpick inserted in the center comes out clean. Cool cake for 90 minutes on a wire rack before turning over onto a serving plate. Dust the cake with powdered sugar before serving. If this cake sits around long enough to get a little stale, several judicious drops of a favorite liquor freshen it up. Slice the cake into smallish pieces and add the booze. Try bourbon, Grand Marnier, rum or sherry, all complementary to the rich chocolate of this cake. Go light with the following as solo toppings or just dips on the serving plate: whipped cream, creme fraiche, whole milk Greek yogurt or sour cream. These simple toppings let the cake take the spotlight. Top with vanilla ice cream and caramel sauce for a cool summer treat. Or go all-out on chocolate, with vanilla ice cream, chocolate sauce and a maraschino cherry. If you can find fresh strawberries, sugar them up and add a fresh sauce on a cake dusted with powdered sugar.